Ready To Earn 100% Commission? Are you looking for a full-service 100% Commission brokerage for Irvine Real Estate and California offering support nearby? 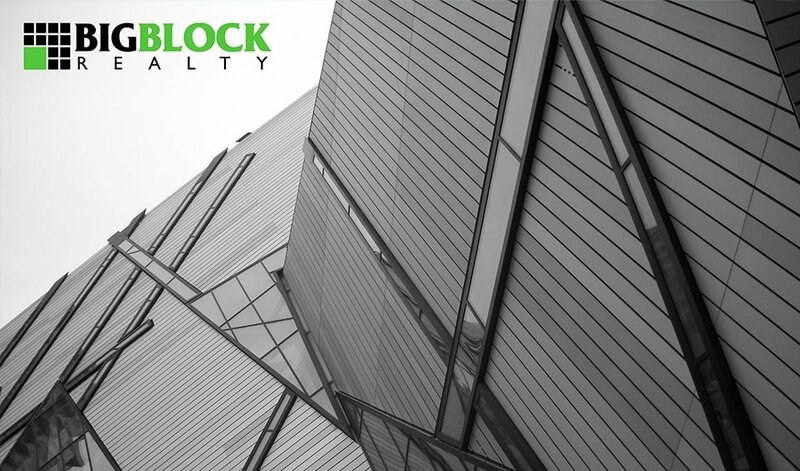 Big Block Realty is the answer. This up and coming brokerage hosts regular training courses for compliance, marketing, and transaction support from all office locations. The brokerage also has a real estate attorney with an open door policy to help you navigate those tricky transactions. The Agent Concierge department and Broker Support staff can help you acclimate to the brokerage and assist you with all inquiries. Contact us today to find out how you can start earning 100% of your commission and have more fun doing what you love. Irvine is a city in the Orange County area with a population of 266,122 at the 2016 census. Irvine real estate agents see around 1685 active and recently sold homes, spending an average of 42 days on the market. Some of the best neighborhoods nearby are Northwood, Woodbridge, Westpark, Oak Creek and Portola Springs. The median home value in Irvine Real Estate is $858,000 with home values going up 6.4% over the past year. Our Big Block agents have seen predictions they will also rise 5.7% within the next year. The median list price per square foot in Irvine is $489. This is more than the Los Angeles-Long Beach-Anaheim Metro average of $425. Homes listed in Irvine are $999,999, while the median price of homes sold are $815,800. The average rental price in Irvine is $3,350 per month, which is higher than the Los Angeles-Long Beach-Anaheim Metro median of $3,100. Camden Main and Jamboree Apartments has luxury living with 1 and 2 bedroom spacious apartments. The complex is a pet-friendly with sauna, swimming pool and outside sunning deck. For movie buffs you can also find a theater room and there is a fitness center and gym. Being only minutes from the Irvine Spectrum shopping center this a great spot to live in. The Kelvin Apartments is a new stylish community with all amenities and an upscale living experience. This location is also close to shopping and dining on main street and has easy access to the 405, 55, and 5 freeways. At the Calypso you find resort-style amenities and loft apartments with space to work on your tan or enjoy the sun. With beautiful surroundings and unique architectural details the spacious apartments have a Zen-like, inviting atmosphere. Close to John Wayne Airport you will find The Alton community. With a dose of sophistication and close to the Irvine Business Complex you can find a handsome collection of studios and 1-2 bedroom apartments. The décor is finished with handsome quartz counter tops, lustrous tile back splashes and stainless steel appliances. Amenities include a saltwater swimming pool, serene courtyards, cozy clubhouses and a 24-hour fitness center. Irvine contains 37 schools. One of the best schools is Hicks Canyon Elementary School, which has a rating of 10. It has 916 children. Other top schools to consider that’s also scored a 10 are Lakeside Middle School, Rancho San Joaquin Middle School, Vista Verde, Woodbridge High School and Orchard Hills School. Popular things to do in Irvine include the Irvine Spectrum Center, Lyon Air Museum and the Marconi Automotive Museum. At the Spectrum center you will find some great shops, restaurants and the popular Ferris wheel. At the Lyon Air Museum you will find some very nice looking WWII planes: B-17, B-25, A-26, DC-3, C-47 and more. All of the planes are spotless and you can get right up next to them. The Marconi Air Museum has a diverse range of classic and modern cars / motorbikes. The collection is very unique and well worth the $5 donation admission fee. Find out how you can earn 100% Commission today! Make sure your clients get the most of their new neighborhood by showing them around the areas Top Restaurants and Bars. A good venue for happy hour and social meet ups is the Hive & Honey Rooftop Bar. Located at the top of the Marriott hotel, It has fast service, great cocktails and views of the city. A great Italian restaurant to check out is called North Italia. It has great prices, quality food, service and atmosphere. The secret often is in the sauce which is why there are many great reviews of this popular Ivrine restaurant. Bistango is a unique spot for modern American foods, drinks and live entertainment. The menu is constantly changing to provide fresh seasonal produce. Both the presentation of the dishes and restaurant are excellent and valet parking is available. Located in the popular Spectrum Center shopping district is the popular Wood Ranch BBQ & Grill. You will find a great selection pull apart tender cuts of meats perfectly cooked to order. There are also plenty side dishes and appetizer options. Irvine Farmers Market has a huge selection of goods, plants, produce, fish, breads and street food. There is plenty of parking even later in the day which mean you can access the market with ease. Most vendors take cards but brings cash would be wise as not all do. What’s not to like? Big Block real estate agents have the freedom to run their own businesses as they see fit and make 100% commission. So the question is, what are you waiting for? Starting earning what you deserve by taking the next step. Orange County Association of Realtors features current information and important compliance updates for realtors. Getting familiar with local housing and neighborhood statistics is a great way to impress potential clients. Find current Real Estate Market Data at the California Association of Realtors. Stay up to date with a quick snapshot of real estate trends in the area. Ensure your clients will be a good fit for the area with in-depth demographic information. Have questions? We love answering them.